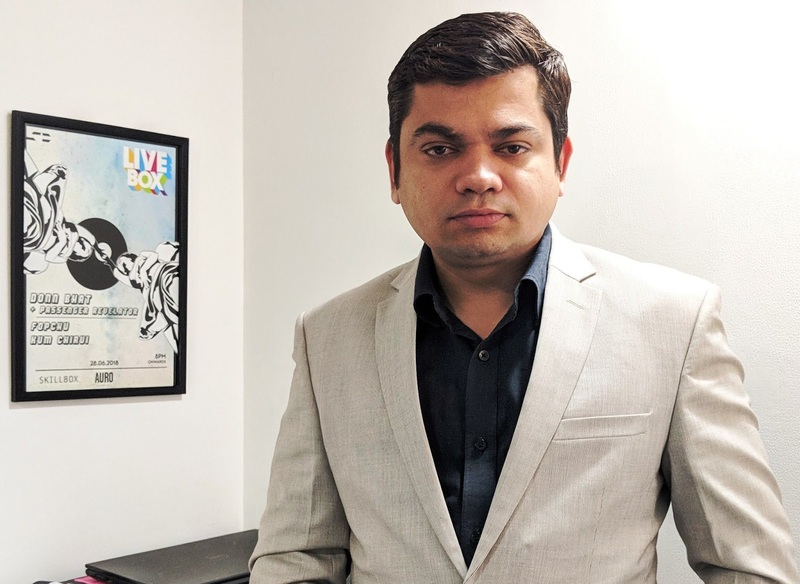 Gurugram based art social network and discovery start up, Skillbox, today announced the launch of its Android app for deeper artist discovery. After the successful launch of its web based platform - www.skillboxes.com ,with over 5k users, the app promises to make things easier for all users. 1.Profile : A comprehensive and interesting profile layout with all the necessary details of an artist, business or fan for people to know more about them with an option to follow and get all the latest news directly on their personal feed. On the profile management end, one can edit information, add music/photos, manage playlists and people they follow with the tap of a button. 2.FeedBox : A personalized and seamless feed of the latest posts and news based on one's preferences and profiles they follow. It is easily manageable and is powered with state-of-the-art technology to give optimum user experience. 3.Discover : The Discover feature offers a powerful search functionality for better performance and faster access. With Discover one can dig deep and narrow one’s search criteria for artists and businesses by a particular type of artist, genre or select an artist hand- picked by SkillBox staff who are featured on weekly/monthly/yearly lists. 4.StreamBox: StreamBox is an exclusive video/audio streaming service provided to artists and is free to use and complements the Discover feature. Artists are encouraged to upload their music/art to reach out to fans and gain a fan base. 5.Playlist : The playlist feature lets users to create a list of favorites akin to a media player and helps in showcasing one’s music taste to the audience at large. Users can also make the playlists public which appear on the profile section for others to enjoy. 6.Book Artist : One key feature for businesses is the Book Artist option which allows them to book an artist directly from the app after viewing their profile and work repository. All processes are streamlined and an e-contract is readily available upon booking which makes the process smooth with zero friction for businesses and artists alike. 7.TalkBox: A one of its kind forum which allows users to pose questions and also answer questions thereby creating a rich discussion platform. The Skillbox app is designed to make lives of its users – artists, businesses and fans- easier with its rich and useful features. From Profile to Discovery, Streambox, Feedbox to Book Artist and Playlists, the Skillbox app is a seamless blend of great UI, UX and state of the art technology. Users will love this new offering.